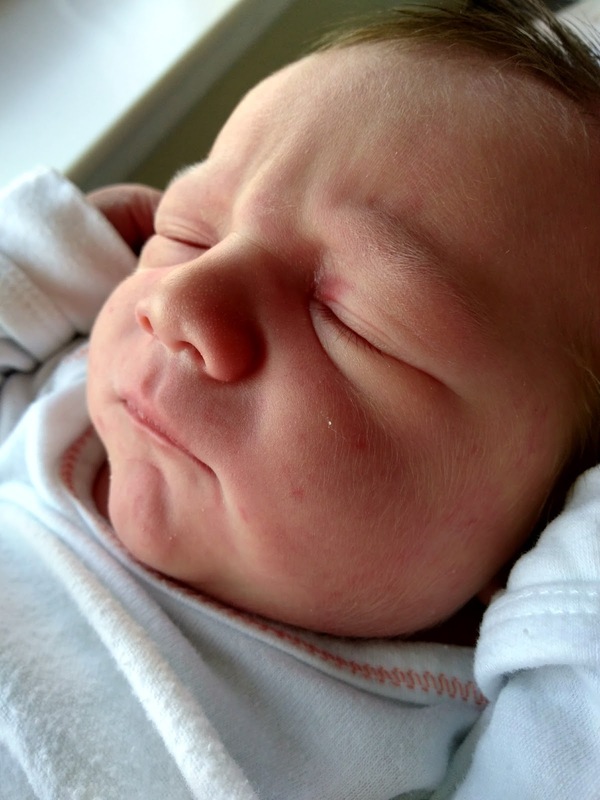 I'm not planning to make a permanent return to blogging, but I thought this was the best platform to share my latest birth story. 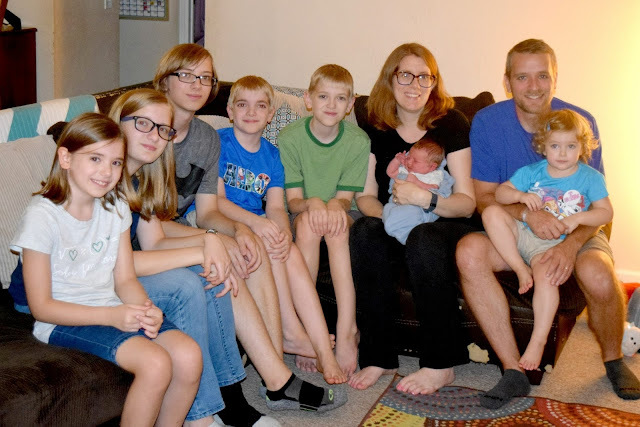 If you follow my blog's page on Facebook, you know I gave birth to my seventh baby in August. 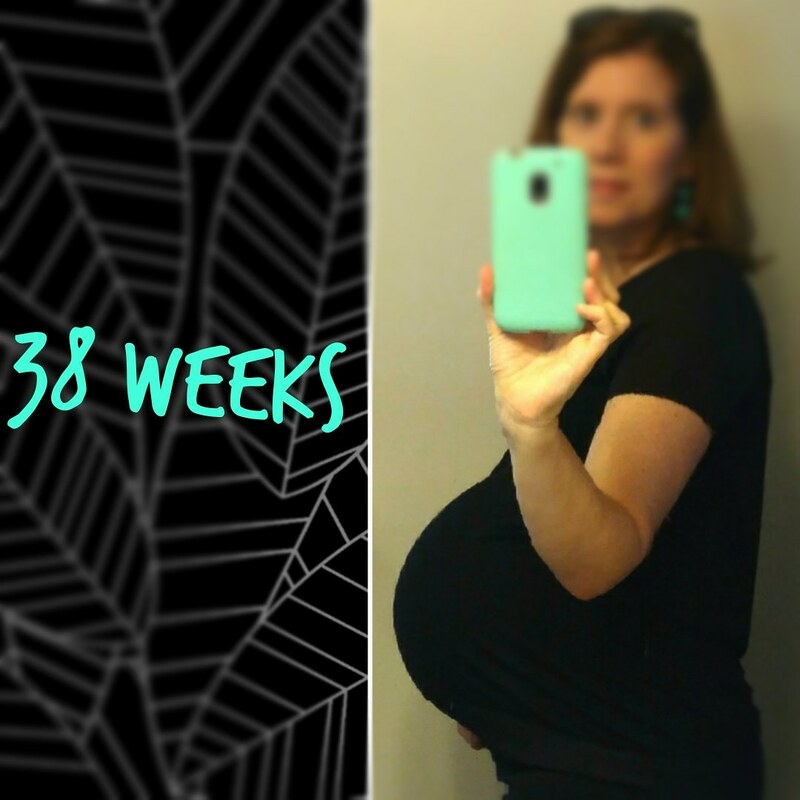 Three of my older kids were born in the 37th week, one in the 38th week, one right on time, and one at 41 weeks. Odds were in my favor that this baby would be born early. On the day I turned 37 weeks, we came home from church and had a celebratory dinner! Then the waiting began. Thirty-eight weeks came and went, and then I reached 39 weeks. I was miserable and impatient! Each morning, I woke up a little angry that I was still pregnant. I even convinced myself I was going to make it all the way to 42 weeks without birthing my baby. My body developed a pattern where I would have contractions for an hour or two in the evening before bed-- just long enough to make me wonder if labor was beginning-- and then disappear until the following evening. I prayed throughout this pregnancy that the labor would go quickly. My other labors ranged from 9 hours (3rd baby) to 25 hours (6th baby), and I really wanted things to be faster this time. Brian added the request that it not be so fast that we didn't make it to the hospital! At church Bible study one evening a friend was sharing the story of when her son was born. She said, "Don't be afraid to ask God for what you want...but don't be surprised if he gives it to you!" On the morning of August 22 (at 39 weeks, 3 days), I woke up at 4 am with a mildly painful contraction. I continued having contractions every ten minutes until Brian woke up for work at 5:30. I would drift off to sleep and then wake each time another would begin. I was almost certain I was in labor, but this seemed to be following the slow pattern of my previous labors so Brian went off to work and I got up for my daily walk. I walked about two miles and had regular contractions 5 minutes apart. I texted my mom to alert her that she may need to come get the kids later. I also texted a friend the news. The kids and I ate breakfast and had a "normal" morning. Contractions slowed to one every 12 minutes or so. Any time I stood up or walked around the house or did a few Spinning Babies exercises, I would have a contraction, but I felt like I was having to coax them along. My mom asked if it would help to come get the kids. I thought maybe being on my own in the house would be helpful so I could avoid the feeling of being watched, but I was also afraid that everyone would leave and I would labor on for several more days. We decided to take our chances and by 11 am, they said good-bye and I was alone. Almost instantly, as soon as they walked out the door, I went into true labor. The contractions increased in frequency and intensity. I finished packing my hospital bag between contractions. Another friend texted to see if I was headed to the hospital, but I told her I planned to stay home and labor as long as I could. I was hungry so I fixed myself lunch and ate while watching a show. The contractions were intense and painful. I paused between bites to breathe. I paused the TV show when I couldn't concentrate. I wondered how far I was progressing, but I wasn't quite ready to call Brian home. I went to put my plate in the sink and had a contraction that startled me with its intensity. I texted Brian and told him to begin thinking about coming home. He replied that he had been thinking about it all day and just to say the word. With the next contraction, I told him I needed him now. Brian works about 35-40 minutes from home so I continued watching TV and laboring on my own. When he walked in the door, he quickly changed his clothes and gathered a few things for the hospital. I told him there was no hurry and I wanted to stay home as long as I could, but I could barely tell him this because the contractions kept coming. I stood up to walk to the kitchen (only a few feet away) and had to stop several times before getting there. Brian said it was time to go! I was afraid to get in the car because with every previous labor, contractions stalled during the drive and labor stopped until we settled at the hospital. That was not the case this time. I continued to have regular contractions on the hour drive. This was a new experience. We arrived at the hospital around 3. I very, very slowly made my way to the hospital entrance because contractions were coming so quickly, especially when I was moving. The ER attendant asked if I wanted a wheelchair, but I really felt the need to keep moving. Sitting did not sound appealing. An aide met us in the ER and walked me up to the birthing center in the hospital. She made the comment, "I hope they don't send you home." I didn't say anything, but I knew that would not happen. I had a calm exterior, but I knew the baby was coming! A nurse got me settled in triage and informed my that there were no available beds. "We've been so busy this month that all the rooms are full. We're moving people now so hopefully, you can have a spot soon if you need it." She hooked me up to monitors for a short trial to see how strong or close my contractions were coming. I was so uncomfortable in the half-seated, half-reclined position. I wiggled around as much as I could but it was miserable. At 4:00, a second nurse said she wanted to check my dilation. This was the first time I had been checked that day (or at all, actually, since my midwives don't check for progress during pregnancy). She said that maybe if I was 5 or 6 centimeters, there would be more hurry to find me a room. "Oh!" she exclaimed. My first thought was that I was only a smidgen dilated, but next she said, "You are 8 centimeters and your water is bulging. If that breaks, we could have a baby by dinnertime." Brian and I looked at each other, thinking, "That's a bold statement. I doubt things are moving that quickly, especially with my history of slow labors." The good news, though, was that I was immediately given a room that had been prepared for a woman coming in to be induced. I walked across the hall, trying to ignore a contraction. I sat on the edge of the bed. My midwife came in and told me to assume any position that was comfortable. The contractions were coming so close together that I sat frozen even though I wanted to move. The nurse commented that one contraction lasted a whole 2 minutes. I felt pressure at the end of contractions that made me involuntarily lift myself off of the bed. The top of my belly started to press down on its own. I know all this means it is almost time to push, but I wasn't thinking clearly at this point. Suddenly my water broke. My midwife guided me to find a more comfortable position. With help, I turned backwards on the bed, upright on my knees with my arms leaning against the back of the bed. My midwife urged me to follow my body's cues, then she sat back to watch. I felt a strong urge to push and my body took over. Pushing went like lightening. I could feel his head and then his body emerge. I am usually overwhelmed by pushing but it was not as terrifying as I remembered. 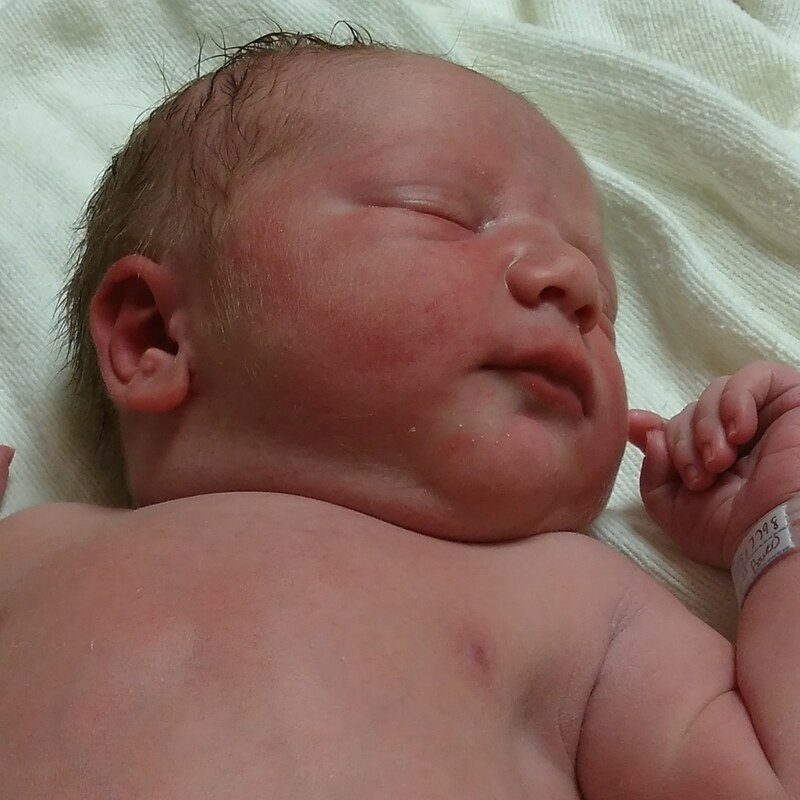 Judah was born at 4:33 pm, less than a half hour after I had walked to my room. I pulled him up between my legs and then sat back on my heels, still backward on the bed. This was a peaceful time as I held my baby. He made a whimper and then was quiet. There was no rush to cut the cord or deliver the placenta. My legs started to fall asleep so someone helped me turn around and sit up in bed. My midwife taught me how to see if the cord was still pulsing. It kept going for a long time which means the placenta was strong and healthy. Eventually, it stopped and Brian cut the cord. The placenta kind of just fell out, with barely a push. I was stunned-- in a wonderful way-- when it was all over. Five or six hours before, I had been mentally preparing for labor to linger on for another day or so. Just an hour before, I was chatting and bemoaning my uncomfortable position in triage. Judah weighed 8 pounds, 4 ounces and was 20 inches long. He was, and still is, a calm happy baby. That is a gift in a busy household of nine people. Some people assume that being the seventh child, some of the novelty has worn off, but his older siblings compete for the rights to hold him. *Judah means "praise" while Nathaniel means "given by God." So glad I could read Judah's story! What a huge blessing!